(CNN) – Mitt Romney's pick of Rep. Paul Ryan as his running mate will give Democrats a better shot at retaking control of the House of Representatives, Rep. Nancy Pelosi, the House minority leader, said in an interview airing Sunday. Pelosi, a Democrat, said Ryan's plan to overhaul Medicare was a nonstarter among senior citizens, meaning Democrats are better poised to assume the majority in the lower chamber. "On August 11, when Gov. Romney chose Ryan, that was the pivotal day," Pelosi told CNN chief political correspondent Candy Crowley on "State of the Union." "That is the day things really changed. We were on a path. I would have said to you then we were dead even. Well, the momentum is very much with us, the Medicare issue in this campaign." Ryan, who chairs the House Budget Committee, has proposed a plan that would allow private insurers to compete with traditional Medicare on an exchange. Democrats, who label the proposal a "voucher system," claim the plan would effectively end Medicare. Republicans say such steps are necessary to ensure the health care program for senior citizens remains solvent. They also point out that Ryan's proposed measures wouldn't affect current Medicare recipients. On Sunday, Pelosi said the issue was at the forefront of voters' minds and that her party retained the upper hand. "We have been saying there are three important issues in this campaign. And in alphabetical order, they are Medicare, Medicare, Medicare," the California representative said. A CNN/ORC poll taken earlier this month indicated Medicare was among the top three most important economic issues for voters, after unemployment and the federal deficit. And a New York Times survey last week showed a significant majority of voters wanted Medicare to remain unchanged, rather than shift to a system like the one Ryan has proposed. Following his choice of Ryan as running mate, Romney has used Medicare often in his campaign speeches, claiming President Barack Obama took money reserved for Medicare to pay for his sweeping health care law (a claim that has been rated "false" by several fact checkers). While Romney hasn't said which specific elements of Ryan's budget plan he would support as president, he has indicated that many of Ryan's measures would play a part in his own White House budget proposals. The push by Pelosi and fellow Democrats to win back the House comes after the party lost control of the chamber in the 2010 midterm elections. In order to regain a majority, Democrats are aggressively trying to pick up 25 seats in November's election. Pelosi said Sunday that without a Democratic majority in the House, legislative gridlock would persist on Capitol Hill, even if Obama is re-elected. "You'll see more of the same, because it's really important for the public to know that the Republican obstruction of President Obama's jobs bills, and whatever he was advancing, their obstruction is their agenda. They really don't believe in a public role," Pelosi said. A second-term president, Pelosi said, wouldn't change the legislative dynamic if Republicans remain in the majority. And a Mitt Romney presidency, the minority leader indicated, was unthinkable. "Mitt Romney is not going to be president of the United States," she said. Is this woman even human? What is she looking at in this photo? Agree with Pelosi on this one. Let's do the math on Vouchers system. Current premium for private insurance cost $1500/month. The premium increases ( modestly) at the rate of 15% per year. for a 55 years old to retire at 67, the premium wil be $4700/ month. An average Soc sec recipient's receive $1500/ month, when he reach 67yrs the inflation rate is 3% per year, the retiree will received $2300/ month. If Ryan's voucher is generous enough to give $5400 which I very much doubt. Here is the final results $7400-5200-2300= 0. This is what's left in your social security folks. Zero, Zilts. You will have nothing to live on and nothing to buy your dog food in your next meal. Ryans plan does not work with her ideology of spending what's not hers. There for she not other like her, like Harry and like Obama will be telling lies across the nation that if you elect Romney that they will be losing their benefits, well it can't be benefits if it's not earned. The Democrats want you to not worry about the part where you get something when you earn it they are looking to buy your votes. Miss Pelosi engages in "reality engineering" . It is doubtful she percieves the same world as we all do . This is frightening . Miss Pelosi engages in "reality engineering" . It is doubtful she percieves the same world as we all do . Glad to see some post that are foaming at the mouth in love with Obama. The stupidest thing we could possibly do is reelect Obama and expect different results. That's not going to happen! Obama is an idealouge and he will not change his lefty, progressive, sick world views. He's convinced himself they are working in spite of all the evidence to the contrary. Reagan said it best. "It's not that my Liberal friends are stupid, but they know so much about what isn't so"
This woman is a real case. And greedy too. After making grand proclamations about transparency, integrity etc, she was caught insider trading a while back, despite the fact that she is worth $118 million. She has no idea what is involved in establishing a business and how the economy is run, yet she wrote Obama's first budget and is one of the primary reasons we are in such a mess. Just charge it dahling....to the tune of $16 trillion. About the only place she could get elected is in her own kooky San Francisco district where it is legal for people to walk around naked. Ah, yes. The obstructionists. Now whining because after all is said and done, the American people saw them for what they really are: unfit to run the United States government. INTELLIGENT GOP'ers...get out of Traditional Source of Energy(OIL/coal). There by removing the need to protect Arab(Saudi) Interests, there by getting out of unwanted places on earth. There by cutting down Defense budget, re-routing the money to Actual needs of American People and not American OIL companies(I know GOPers will be offended because they can not live without oil industry). I wonder Why OIL man like George bush attach Iraq, when he was supposed to kill Osama in Afghanistan/Pakistan? PATRIOTISM(towards oil barons and not to USA). These guys cooked up a LIE of WMD and invaded IRAQ instead of capturing Osama. Now why would i beleive the lies of same GOP is cooking up about obama and that to with Romney(who changes his beliefs every hour ) and Paul Ryan(who is introducing Voucher system for seniors..also taking the lead from romney on Lies). Same GOP Congress who wanted to take out the First Black man in oval office rather than solving economic issue. 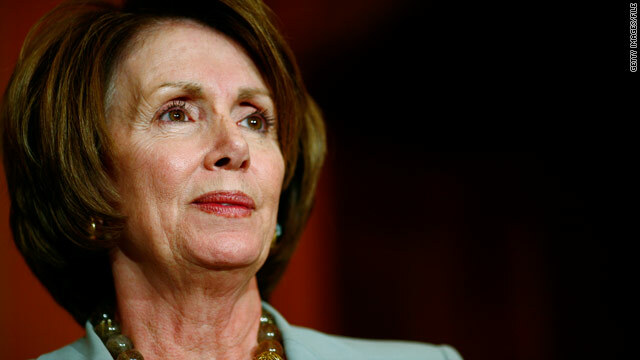 Reality about Pelosi – She has had so much plastic surgery, she is beginning to have a constant Joker-like smile. She is an alleged Catholic who should be excommunicated for her stance on supporting abortion. She is an embarrassment to many of the rest of the female population, myself included, for the constant drivel that comes out of her mouth. She has outlived her usefulness. Just what we need, the House, Senate controlled by the dems. We did that ion 2007, and look at what happened. We then gave them a chance to make positive changes by adding to their majority AND giving them the WH in 2009. Lookm at what happened? Einstein's definition of insanity comes to mind. He plied on the debt, passed a questionable expensive healthcare bill in the middle of the great recession instead of working on the economy, and created a climate where he wants to divide us even more. He has had his chance. Electing him again is foolhardy. Healthcare was breaking the backs of American families. Many families are still going under because of a single health event. The cost of that system could hardly be responsible for the deficit – since it hasn't really even gone in to play yet. The two wars Bush started and disn't put on the books are still piling up the debt. Bush issued the first bailout package – and we needed it! The economy was in a death spiral when President obama took office. The stimulus spending was a bitter pill we had to swallow to pull out. The recovery would have been much faster with just a small amount of Republican help – but it never came. Voting the Republicans back in to office after they caused the recession would be worse than foolhardy. Since they worked to obstruct progress from the very first day rewarding them would be like helping domestic terrorists. They actually wanted our sysyem to fail! Them they offer Romney... a man with absolutely no vision for America and not one specific idea on how to pay for his outlandish promises. Romney/Ryan 2012 We need real change! SuperD is another one with Republican Amnesia. Nothing happened for them between 2000 and 2008. We went straight from Clinton's budget surplus to Obama's struggle. Bush? Bush? Who's that? I'll remind you, SuperD. Bush was the guy who caused this entire economic mess, and Romney is his clone. If we elect Romney, we re-elect Bush, and we can expect the destruction of America to continue. For all the wingnuts that truly want to know the truth, search "Ryan voucher plan," Romney has adopted that plan as his own. It means that you get a voucher in dollars and you then SHOP for independent health insurance. What are the chances that an insurance company will either deny you coverare OR their coverage will GREATLY exceed the value of the voucher? 100%. Pre-existing condition? Start planning your curbside cardboard house. Pelosi is a sick and demented person. Why did she vote for Obamacare? To find out what is in it!! What pathetic politican and hard to believe that anyone would vote for this nut case!!! !